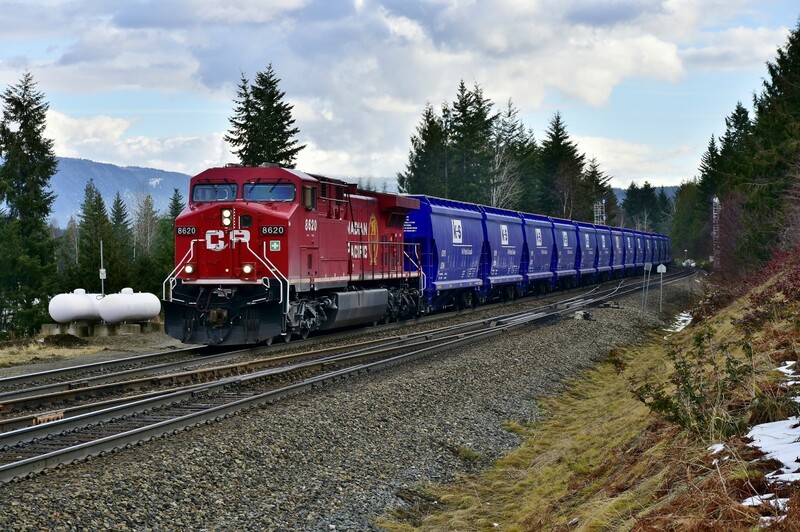 Railpictures.ca - Richard Hart Photo: Recently re-painted CP 8620 leads a train load of new potash cars westwards at Berton on the Shuswap sub. | Railpictures.ca – Canadian Railway Photography – photographie ferroviaire Canadienne. Caption: Recently re-painted CP 8620 leads a train load of new potash cars westwards at Berton on the Shuswap sub.